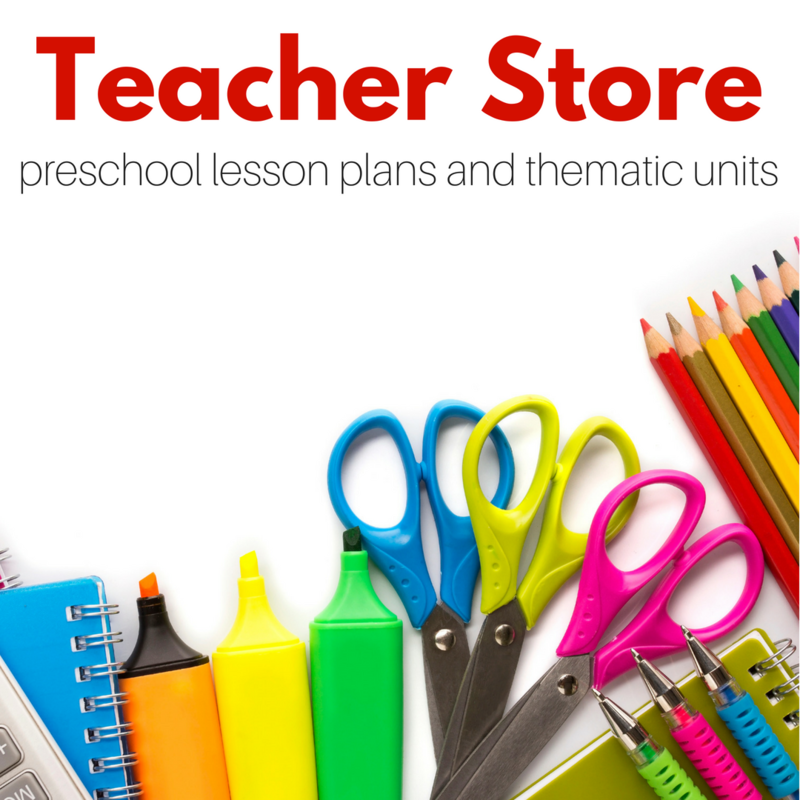 I hate buying expensive classroom materials that students will only use for a few weeks before I pop them back into the closet until next year. 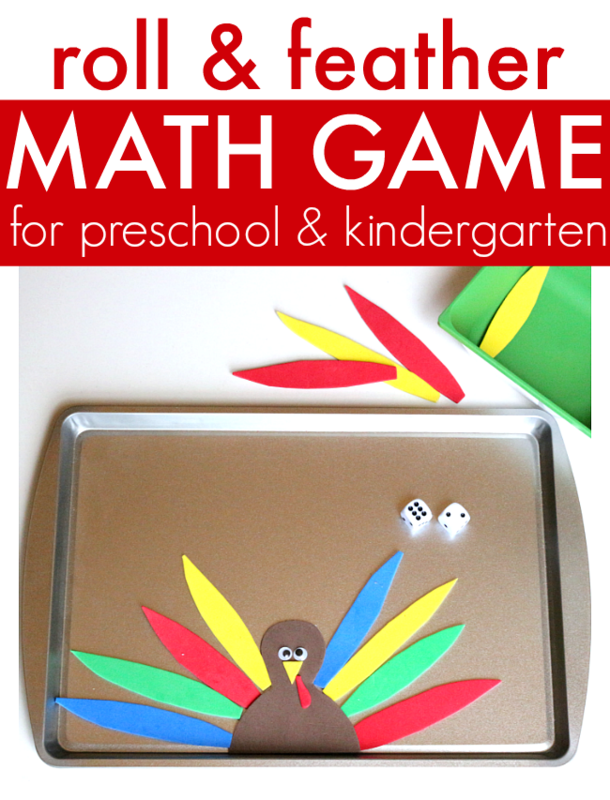 This turkey math game for preschool can be used for a farm theme or around Thanksgiving, and it’s so cheap to make that you totally get your money’s worth if you only use it a few weeks a year. Of course, if the children love the game there is no reason to put it way. 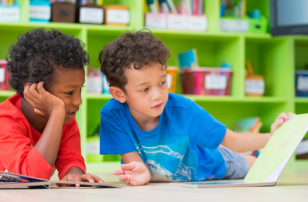 I love using themes in preschool, but I have never been a stickler for making sure everything in the room was only that theme, that limits learning. 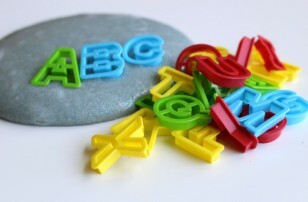 Themes when used right should be the fun colorful sprinkles that ignite learning and add a little novelty to the day. 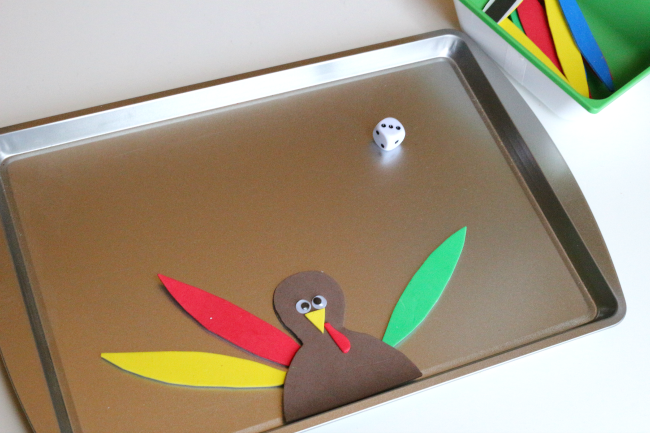 This turkey math game took me about 5 minutes to put together, and the materials were all from Walmart and Dollar Tree, so it was budget friendly as well. 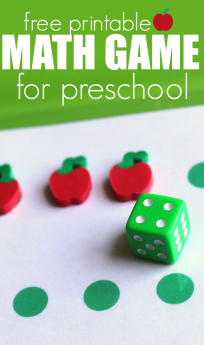 Also, this is such an easy game to differentiate which is pretty much business as usual in any preschool or kindergarten classroom. Gather your materials. 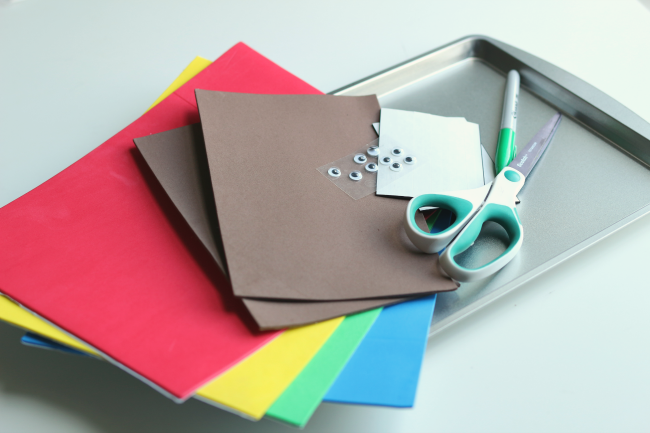 You will need some sticky back foam ( the paper makes it extra sturdy) in brown, yellow, red, green, and blue. 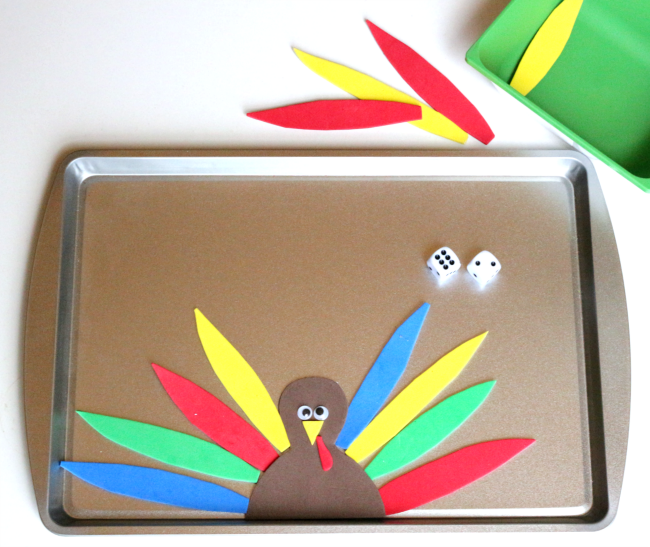 Self-adhesive googly eyes, scissors, magnetic tape, two dice, a small dish, and a cookie sheet. 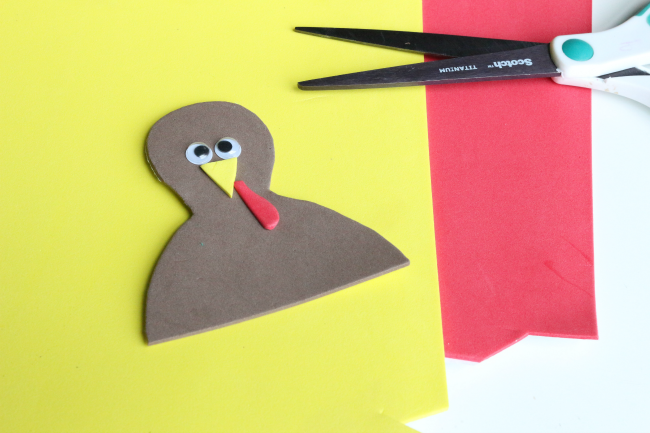 Start by cutting out your turkey body. 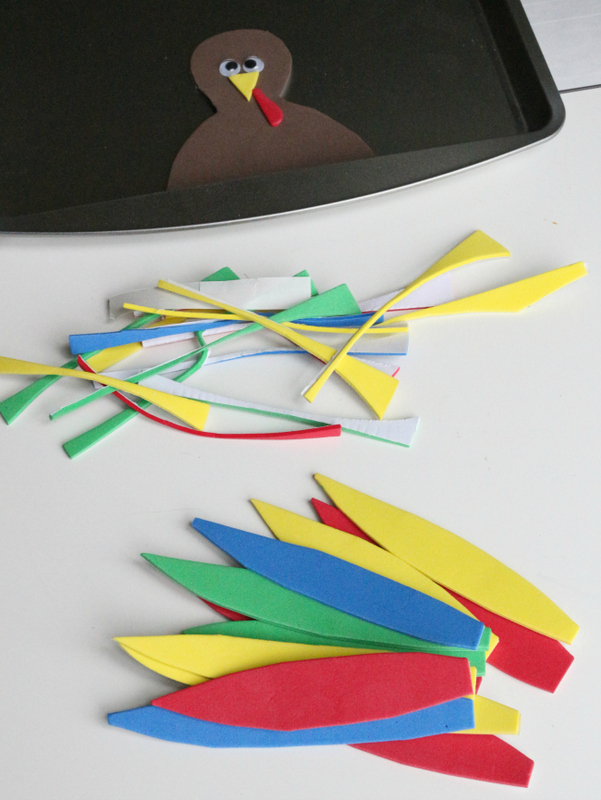 Add a simple beak, gobble ( what is this really called? A waddle? ), and eyes. Pop magnetic tape on the back and set aside. 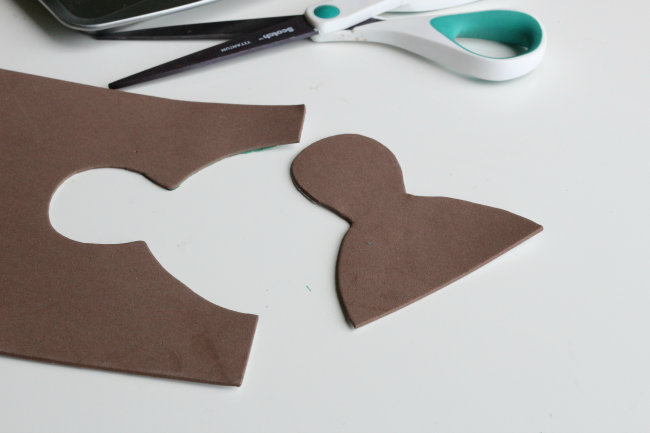 Cut feathers out of the foam. 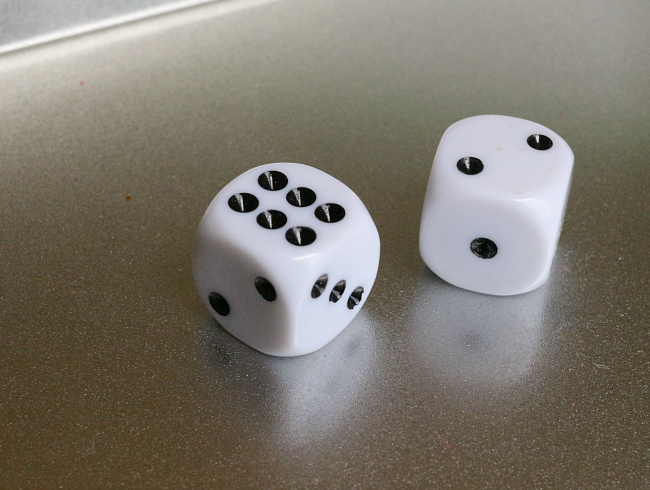 If you are using only one die, you will only need six, but if you are using two, you’ll need 12. 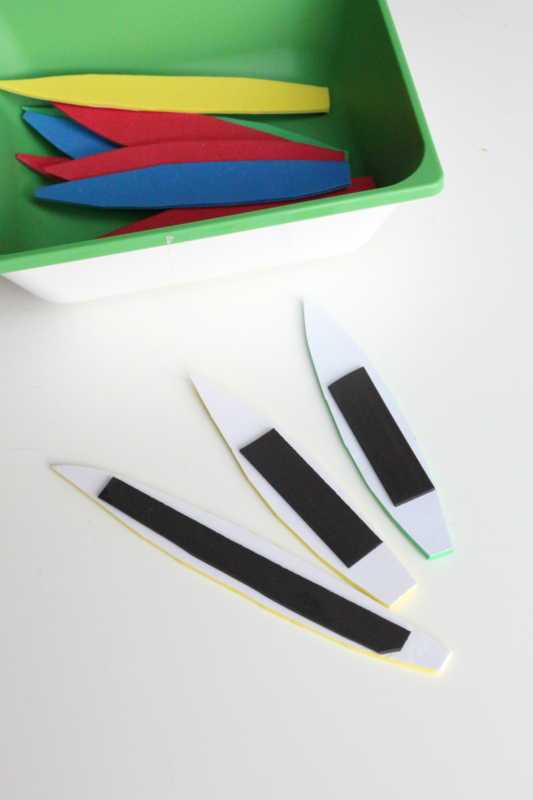 Add magnetic tape on the back of them too! If you are using only one die roll and add the number of feathers, you see on the die. and add the number of feathers on both the dice. Children just starting to get comfortable with addition may count the dots on the first die and then add that many feathers, go back and repeat with the 2nd dice. That’s totally ok. Let them explore and develop these skills. Don’t rush. 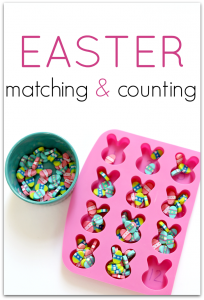 Alternatively, you may notice some children counting all the dots at once and adding the feathers, or for more advanced children you will notice them doing mental math adding the sum and placing that many feathers on. 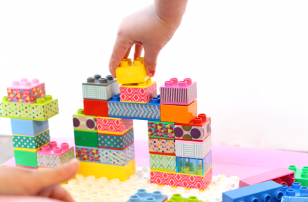 Your role is to decide if and when to scaffold for the child to get to the next step. 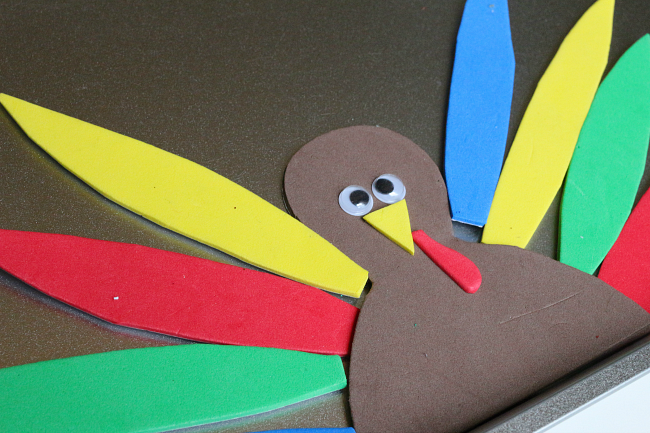 For more fun, Thanksgiving-themed ideas check out our Thanksgiving Mini Thematic Unit! 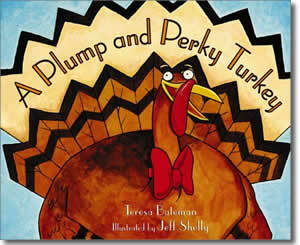 A Plump and Perky Turkey by Teresa Bateman is such a cute and funny book about a town that needs a turkey and the hilarious lengths they go to to find one. The town is sadly outwitted by the turkey and end up eating shredded wheat for Thanksgiving. The illustrations kept my little man interested when he was a toddler but he only started understanding the dark humor at around 4. I love this book because of the humor makes me giggle. My son was a little off put by the idea of the townsfolk eating the turkey and was relieved when he escaped before they shoved him in the oven. 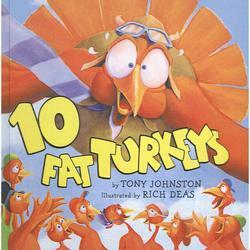 10 Fat Turkeys by Tony Johnston was a classroom favorite, it”™s about as silly as a book gets and the kids had no clue they were actually learning about subtraction while listening to the crazy rhymes. This won”™t explain the pilgrims or talk about the Mayflower, but it will make your kids laugh! Very cute! 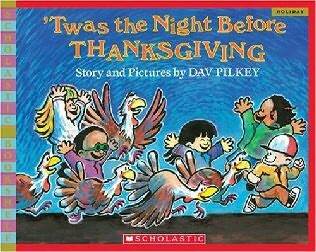 Twas The Night Before Thanksgiving by Dav Pilkey was such a treat to read. 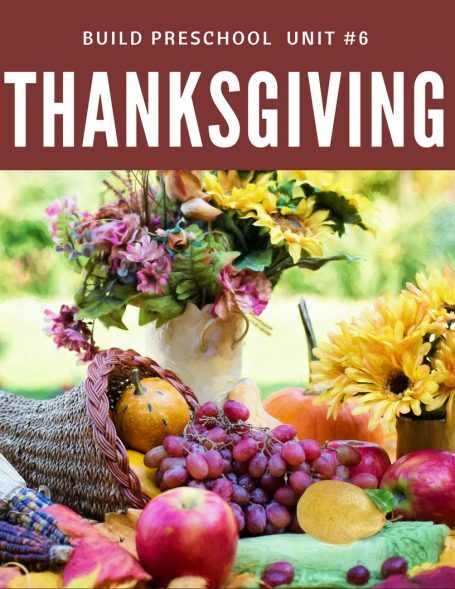 It”™s a reworking of the classic Christmas poem, with a Thanksgiving twist. A bus full of kids head off to the turkey farm the day before Thanksgiving and are immediately enamored with the birds. When a child asks the farmer what the ax by the door is for”¦ well let”™s just say the truth is told and the kids fall apart. They don”™t stay down for long though, the kids outsmart the farmer and their teacher to save the turkeys from the ax. Somehow the author finds a way to make the possible slaughter of these happy friendly, named turkey”™s funny. My son was giggling while I was kinda nervous that they”™d get the ax! Great rhymes throughout this hilarious book! 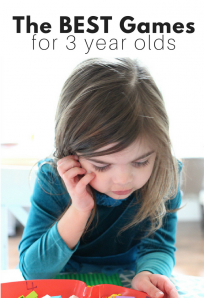 Next Post: 3 Simple Free Choice Activities made From Dollar Store Supplies! Fine idea,I’ll do it with my group,I love it! !